For other people named Alexander Bannerman, see Alexander Bannerman (disambiguation). Sir Alexander Bannerman (7 October 1788 – 30 December 1864) was a British merchant, vintner, politician and colonial governor. Known as "Sandy", he was the son of Thomas Bannerman. He was a prominent businessman in his hometown of Aberdeen, Scotland managing the family wine business as well as having a hand in trading and whaling. Bannerman served as the city's provost and in 1837, was elected dean of Marischal College, Aberdeen. In 1832 he became Member of Parliament (MP) for Aberdeen in the British House of Commons, sitting as a Radical, and remained an MP until his retirement in 1847. Together with his wife, Margaret Gordon the grand daughter of former Governor Walter Patterson, Bannerman returned to the colony of her birth, when he took up the appointment in 1851 as governor of Prince Edward Island. On this occasion he was made a Knight Bachelor. Bannerman instituted responsible government on the island but was removed in 1854 due to political unrest in which he favoured the Reformers. Subsequently he was governor of the Bahamas until 1857, when he returned north to become governor of Newfoundland, the second governor since responsible government had been granted. He clashed with John Kent, the premier of Newfoundland, whom he felt was corrupt. Bannerman accused Kent's government, as did Bishop Mullock, of using relief aid as patronage, and also accused Kent of being unreasonable in negotiations with France over the French Shore. In 1861, after Kent had accused Bannerman of conspiring with the courts and opposition Conservative Party of Newfoundland against a proposal to reduce the salaries of judges, Bannerman dismissed the Kent government and appointed the leader of the opposition, Hugh Hoyles as the new Premier. Kent's Liberal Party of Newfoundland defeated the Conservative government in a Motion of No Confidence resulting in an election campaign that was fought along sectarian lines with Catholics largely voting Liberal and Protestants largely voting Conservative. The Protestant Conservative Party of Newfoundland narrowly defeated Kent's Liberals. Extensive rioting led to disputed results, with the Conservatives having a majority of only two until in a peaceful by-election Harbour Grace returned two Conservatives. Bannerman' initial action in dismissing Kent had been rash and the Colonial Office told him so, but Hoyles, the new Premier, moved towards non-sectarian government, both bishops called for order, and the politics of class replaced the politics of religion. Bannerman resigned as governor in 1864 and returned to England where he caught a cold and, in his enfeebled state, fell down a flight of stairs causing his death on 30 December in Mayfair, London aged 76. Bannerman Park in St. John's commemorates his name in Newfoundland. In 1825, Bannerman married Margaret Gordon, who was later identified as "Carlyle's first love" by her biographer, who tells of the young schoolmaster Thomas Carlyle, in Kirkcaldy, Scotland, "who was attracted by her intelligence and wit." Her family considered Carlyle as an unsuitable marriage prospect, and she eventually married Bannerman, a distant cousin. 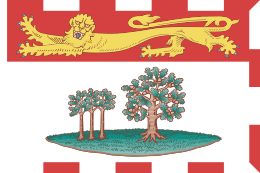 Lady Bannerman was born in Charlottetown on Prince Edward Island, a granddaughter of Walter Patterson who had been the Island's first governor. 1 2 Dod, Robert P. (1860). The Peerage, Baronetage and Knightage of Great Britain and Ireland. London: Whitaker and Co. p. 103. 1 2 3 Archibald, Raymond C. (1910). Carlyle's First Love: Margaret Gordon, Lady Bannerman. London: John Lane the Bodley Head.